Comments Off on Coffee, Anyone? This is a big cappuccino cake made for a christening, decorated with sugar paste balloons and bows! 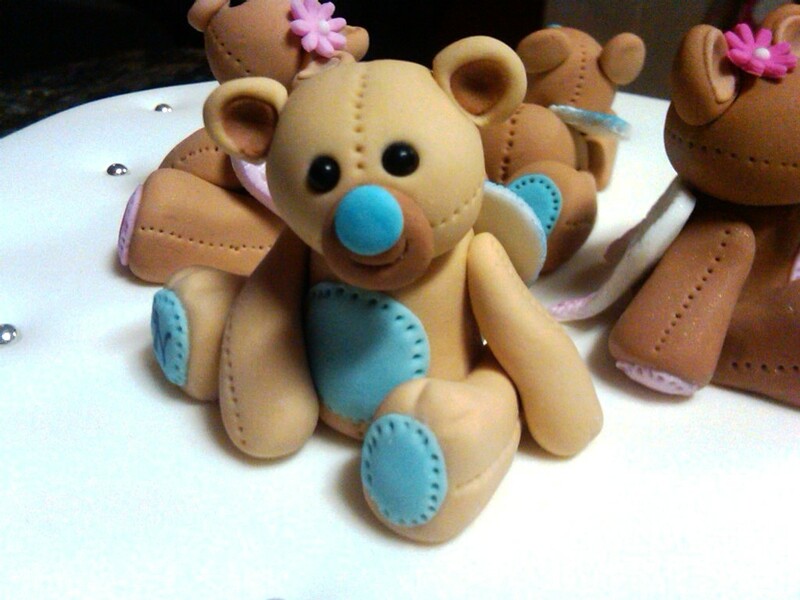 There were cupcakes too, decorated with an assortment of moulded blue and white sugar paste bows. 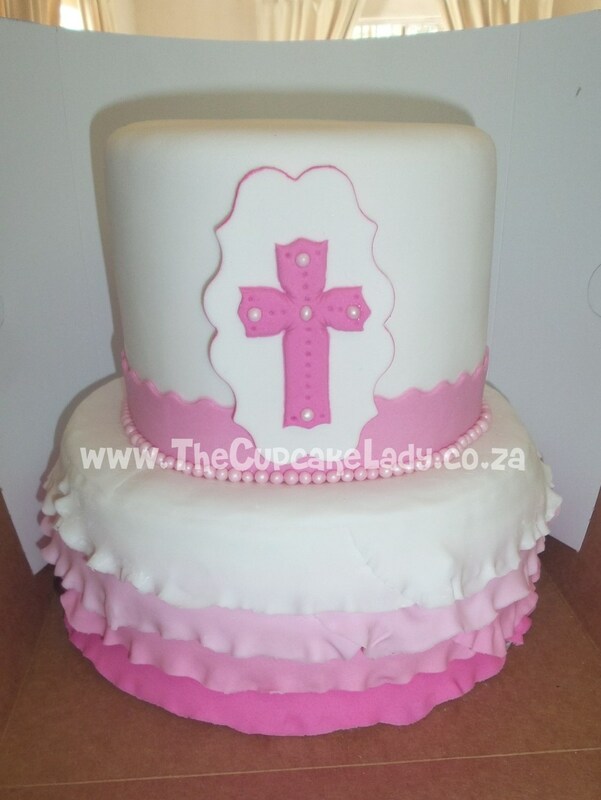 This two-tiered chocolate cake with chocolate butter icing, went all the way to Durban for baby Danny’s christening! 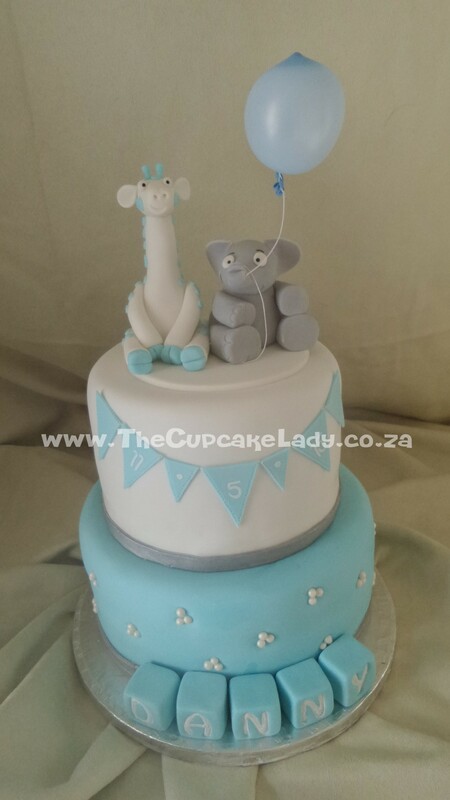 The giraffe and the elephant cake topper was hand made by me, and whilst I wanted the elly’s balloon to be a sugar balloon initially, such a long drive would have had it swinging like a pendulum and possibly breaking the elly’s trunk, so I went with a small blue plastic balloon instead. 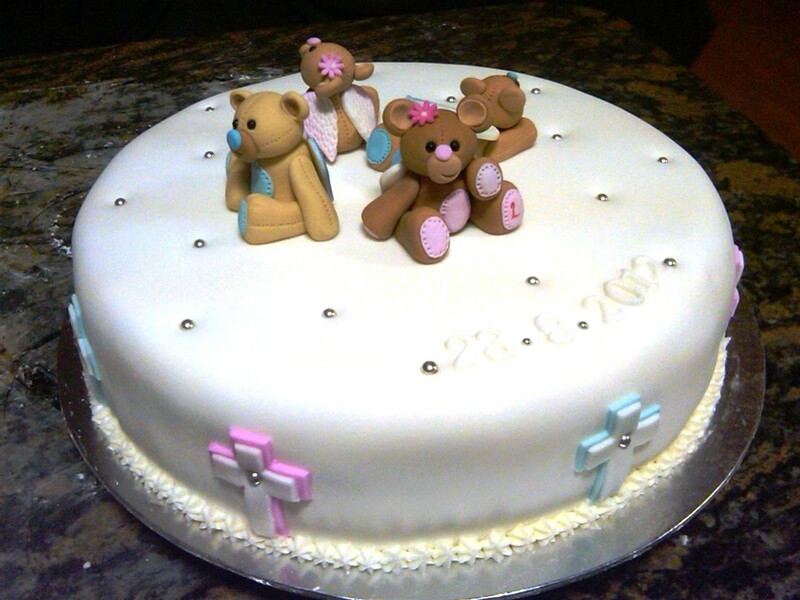 This two tier cake is for a christening – the bottom tier is a carrot cake with cream cheese icing and the top tier is vanilla cake with vanilla butter icing. 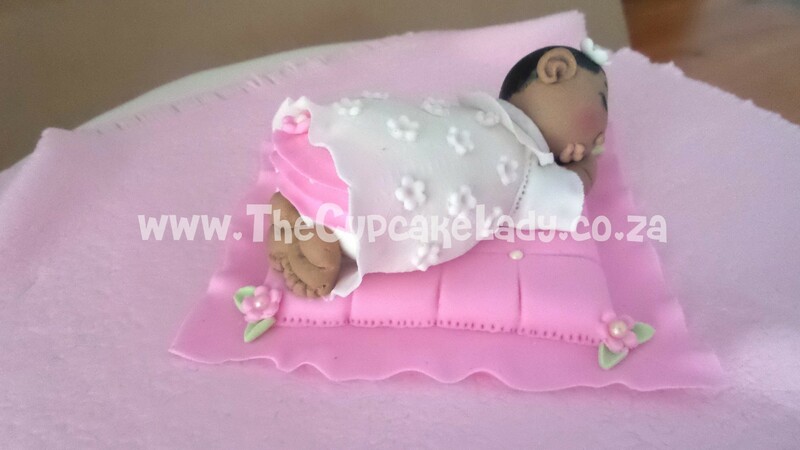 This is a big red velvet cake with cream cheese icing, decorated with little pink sugar paste flowers and leaves and a handmade, sugar paste, sleeping baby. 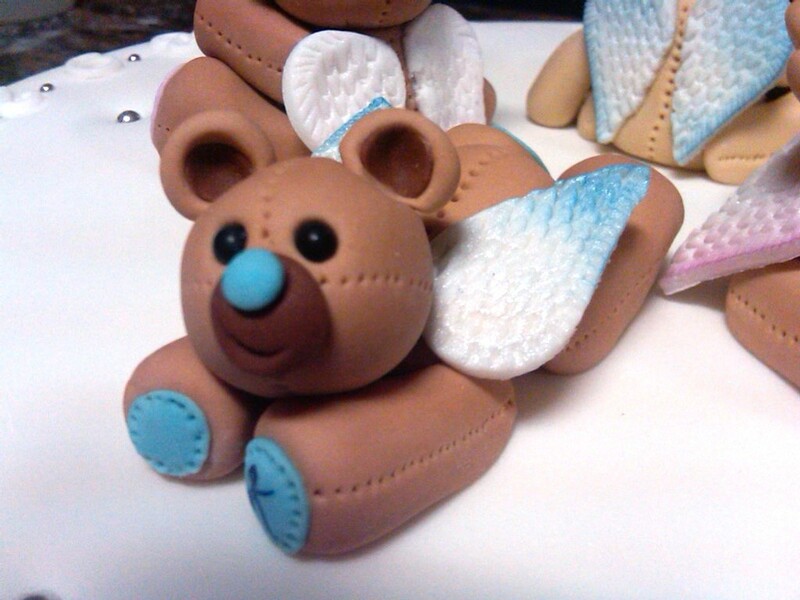 Colette ordered a dedication cake for her triplets and their big brother (two boys and two girls) for this weekend! 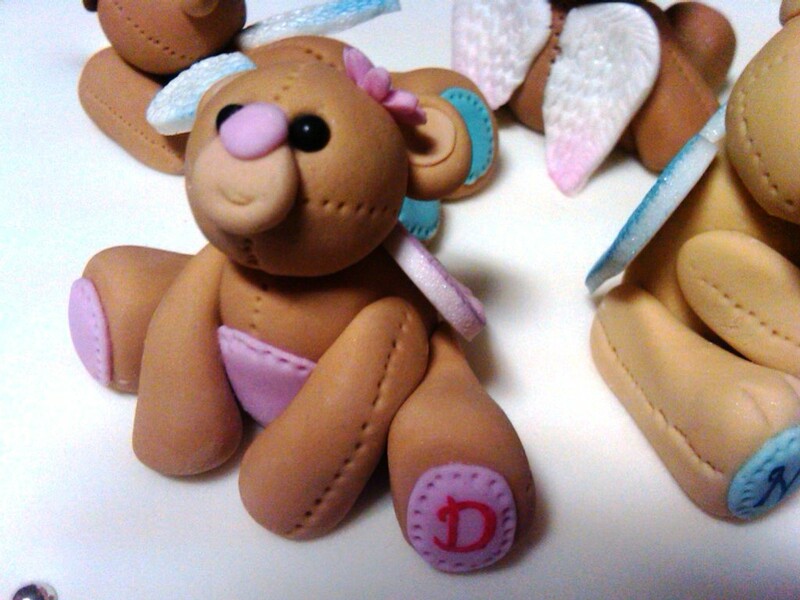 Each child has a handmade “angel” bear on top of the cake with their initials painted onto a paw-pad by hand and I had SO much fun making these little bears! This 30cm, gluten free, vanilla cake is filled with pink and blue vanilla butter icing, iced with white vanilla butter icing, and then covered with a thin layer of white sugarpaste. 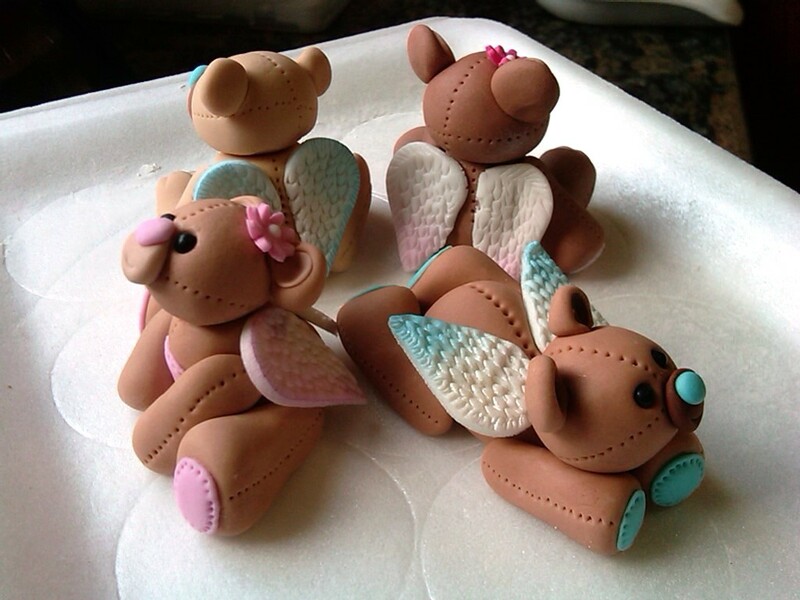 The big silver dragees were pressed into the sugarpaste and created a bit of a quilted effect on top of the cake. The pink and blue crosses on the side were cut by hand. 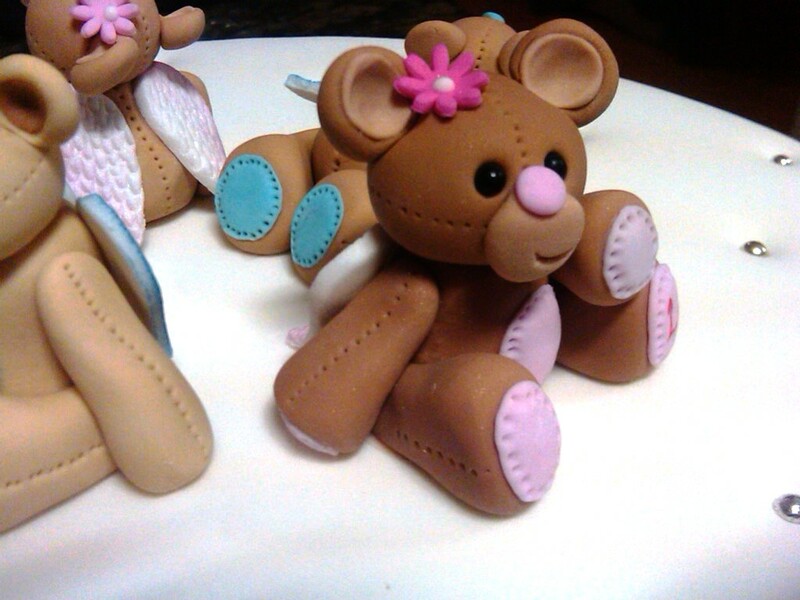 The date is done with moulded white sugarpaste numbers glued onto the cake cover with small silver dragees used as date seperators. *forgive the picture quality… I am camera-less right now and have to resort to using my phone camera.